Glass Processing Equipment and Materials | 友士股份有限公司-USE Electronics Co., Ltd.
Glass cutting lines for architecture glass, furniture glass and electric glass applications (CNC cutting machines, loading/unloading machines, breaking machines): Automatic tool change systems, laser scanners and automatic lubrication systems. 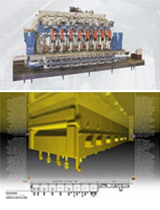 Multi-functional glass processing: drilling, grinding, polishing, V-grooving, routing and writing. 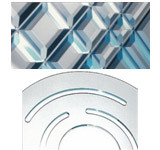 CNC V-grooving : Grinding, polishing, writing, beveling and routing. Automotive back mirror chamfering, beveling, edging, polishing machines. Bending, tempering furnace and complete lamination lines. Windshield glass bending and laminating lines, de-airing systems and autoclave systems. 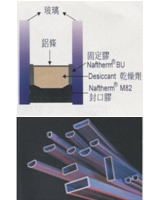 High-temperature resistant stainless cloths, tubes, tapes. Applications: Automotive glass bending and high temperature bottles transportation.